things that shine: MORE Christmas Things That Shine! Tags and wood veneer! MORE Christmas Things That Shine! Tags and wood veneer! There are lots more unique and exclusive items at Things That Shine! Did you know we have a secret, special holiday promotion going on? After you order anything from our store... for the rest of the year, anything you order ships FREE! You will receive your FREE SHIPPING code after your first purchase! This means you can grab what you want now, and come back later for more! (*Free shipping for US addresses only; shipping discount available for Canadian and International shoppers). 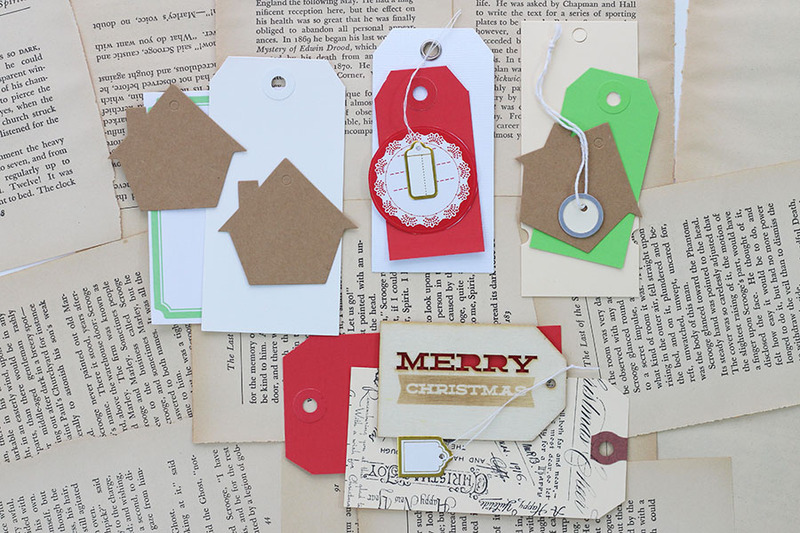 Tag sets: MORE Christmas tags in green, red, gold, and neutrals. 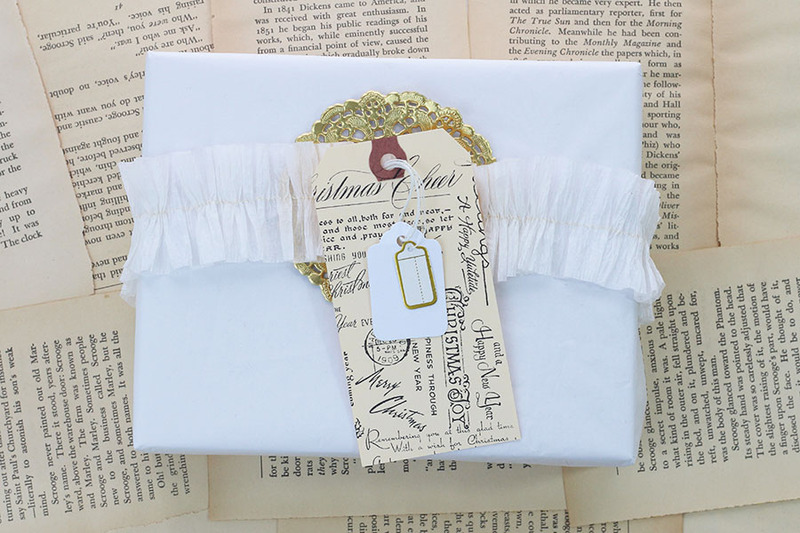 Great for gift wrapping, or in case you need some extras to go with your Keep Christmas kit. 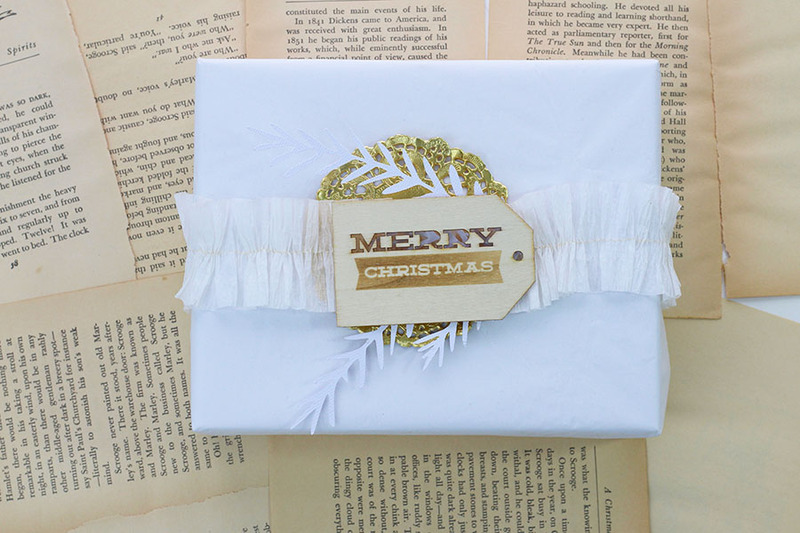 Gift wrap or paper craft set, in neutral. 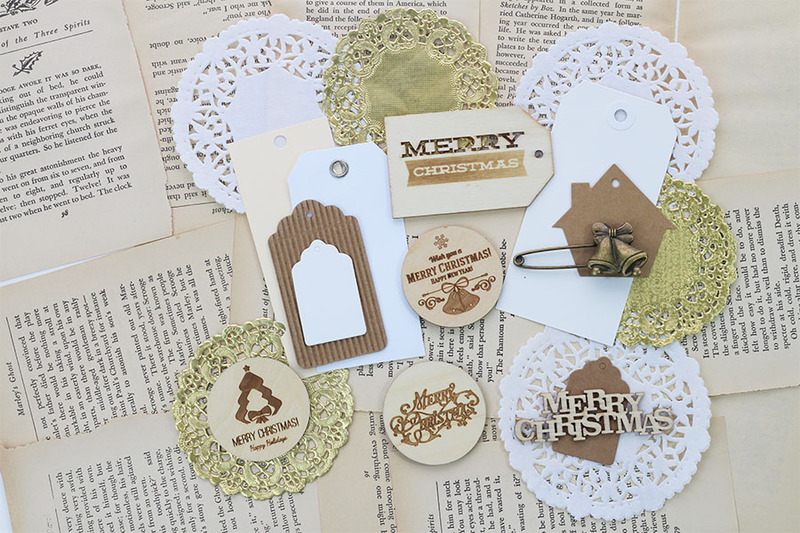 This mix includes everything seen here... doilies, shipping tags, wood veneer tags, and other great bits! 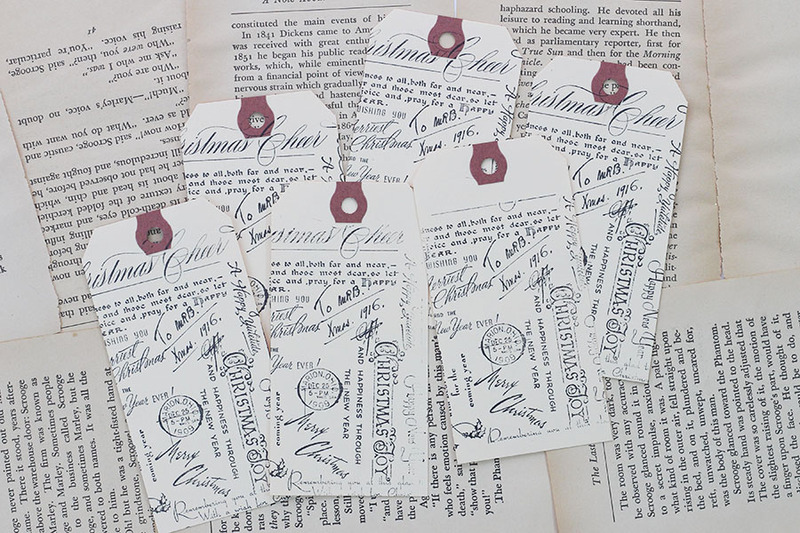 Hand stamped Christmas collage shipping tags! One of my personal faves. ;) These are available individually or as a set of 6. A pretty way to finish a gift! 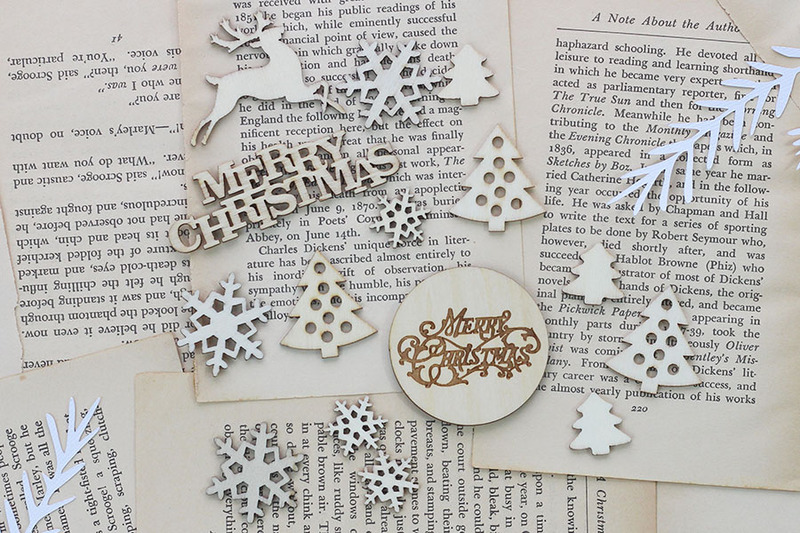 This festive wood veneer set comes with 15 pieces. 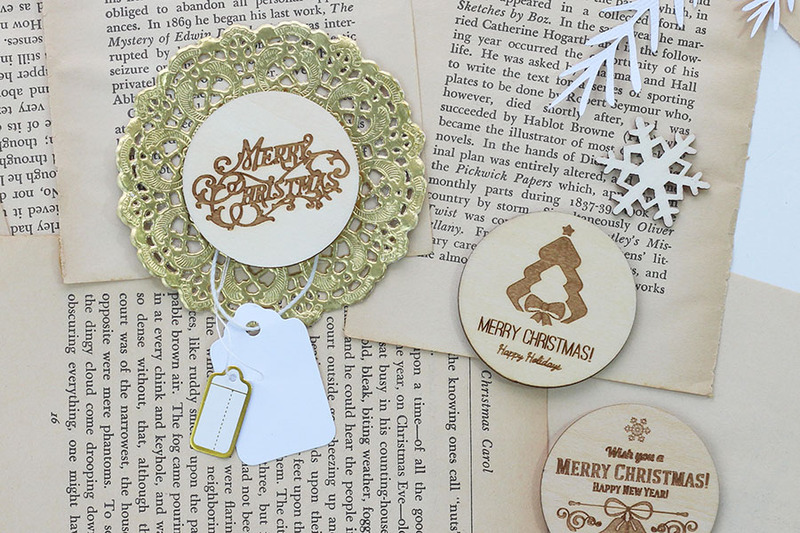 These wood veneer rounds are a lovely 2 inches wide -- a great size for your Keep Christmas album, or as a gift topper. Available in a set of three, as shown. 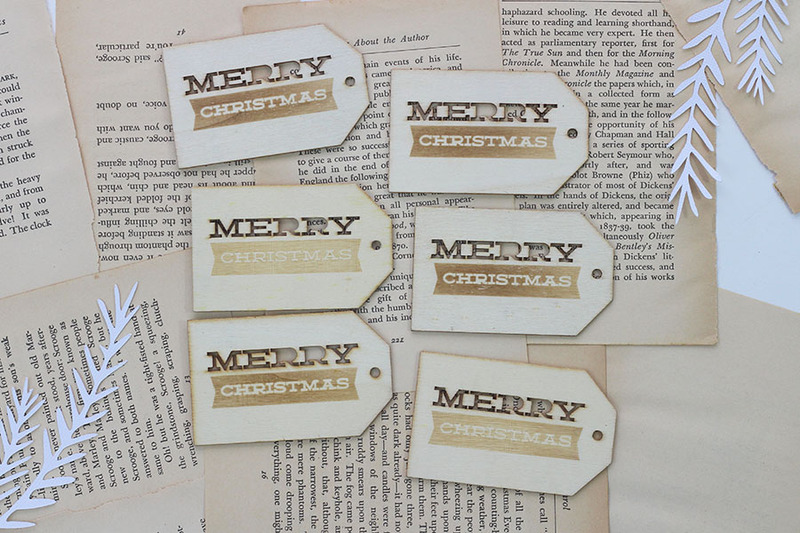 Merry Christmas wood veneer tags. These are available in a set of 6, or individually. 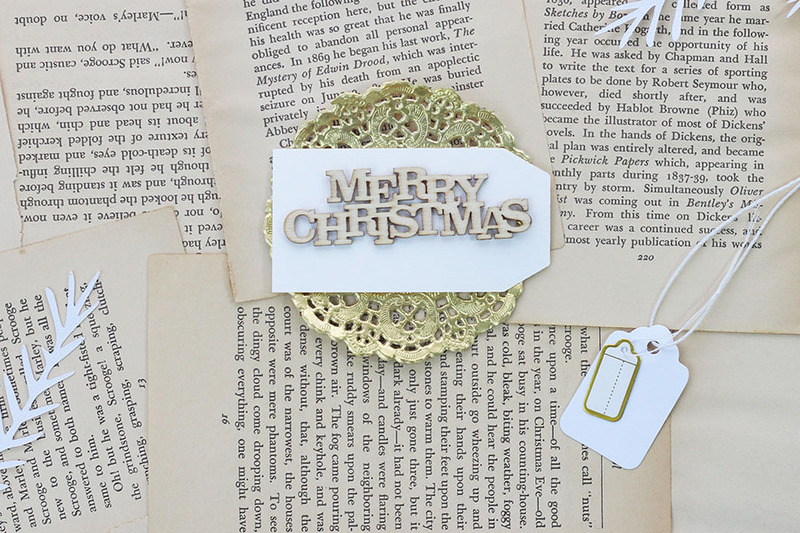 They make lovely gift tags, paired with our gold doilies, and Holly Jolly festive foliage cuts! Merry Christmas sentiments in wood veneer. Again, awesome for scrapbooking or gift topping!